I am often asked about the best things to do in Lisbon so it’s high time I collated some of Lisbon’s must see sights. 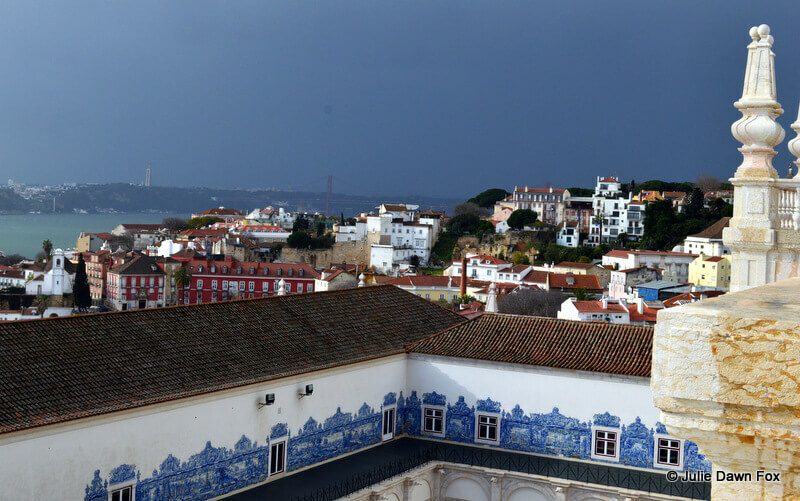 I get cross whenever I see a list of Lisbon attractions that features a day trip to Sintra. Yes, it’s one of the many day trips you can do while using Lisbon as a base but it is a totally different town. Same goes for Cascais. 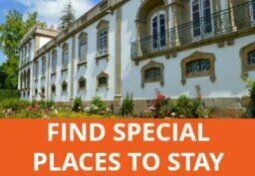 Because of this pet peeve, I promise you that my list of Lisbon activities and attractions does not take you outside the city. In no particular order I’ve included a selection of well-known highlights and some of my favourite under-the-radar places to visit in Lisbon, a great destination all year round. 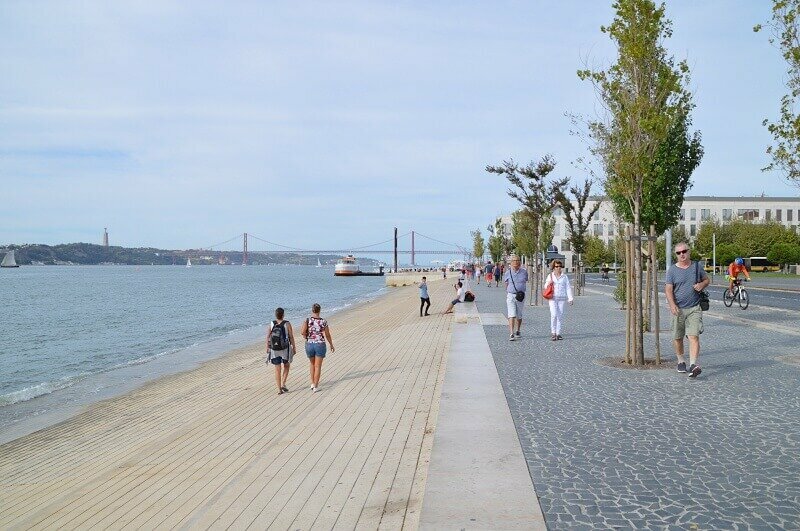 The Tagus River (Tejo in Portuguese) is the life force of the city and it’s now possible to enjoy a riverside stroll from the former royal square, Praça do Comércio, to the up and coming Cais do Sodré. Sit on the steps or grass at Ribeira das Naus or enjoy a cocktail from the kiosk or café while you watch boats of all sizes make their way down and across the mighty waterway. Mike absolutely loves the former electricity power station in Belém because of the industrial aspect. We first visited before it became incorporated into the new Museum of Art, Architecture and Technoloy with its flagship curved building. The massive machinery is still in situ, albeit all cleaned up, and there are models and information panels to help you appreciate how tough it must have been to work there. Both buildings now hold art exhibitions although most are in the new space. You can walk onto the roof of this futuristic shiny building for fabulous views of the river. Tip: If you’re short on time and/or money, I would just pay to enter the former power station building rather than the full combined ticket. 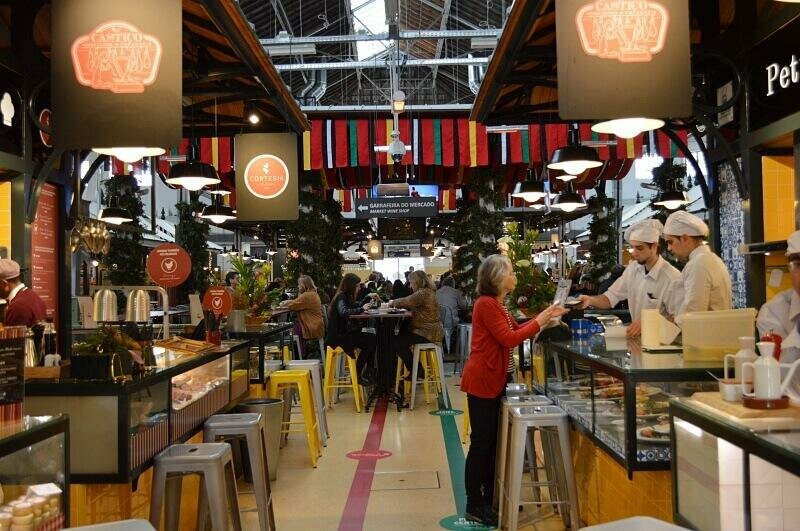 Another reason to visit Cais do Sodré is Mercado da Ribeira. One hall of the bustling market has been transformed by Time Out into a trendy food hall which enables you to sample some of Lisbon’s finest food and drink in one place. The other hall continues to function as a colourful fresh produce market full of the flavours, sounds and smells of a traditional venue. Tip: The food hall is very popular with locals and visitors so expect queues at peak meal times or try to avoid them. 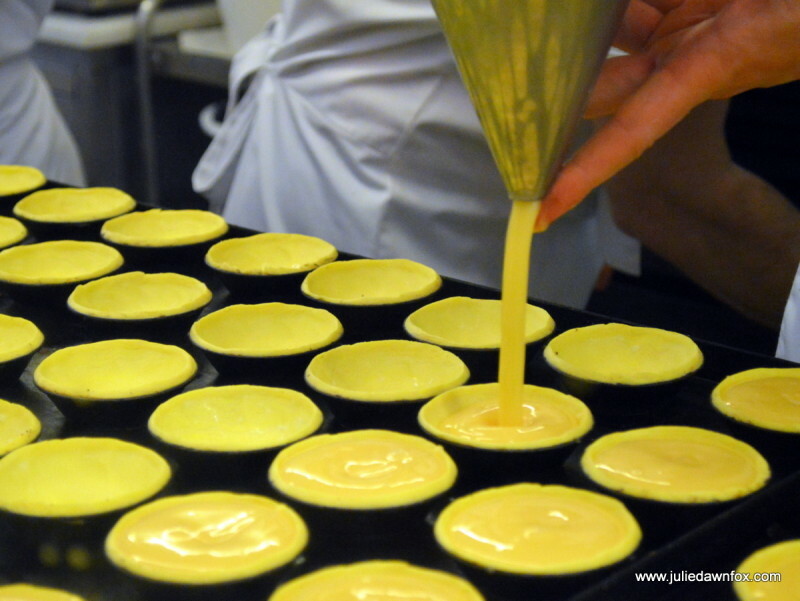 Have you heard of the delicious custard tarts that the Portuguese love so much? A Pastel de Nata, also known as Pastel de Belém as this is where the original recipe came from, is a crisp, buttery pastry case containing creamy custard. Best served while still warm with a sprinkling of cinnamon and a meia de leite (coffee with milk), these are decidedly moreish. Or pick up one of these books about Portuguese food for a recipe. Lisbon is famed for being a city of seven hills, which can get a bit tiring if you’re exploring on foot. If the weather’s nice, a Lisbon boat trip gives your feet a rest while you enjoy the architecture and learn about Lisbon’s stories from a different perspective. 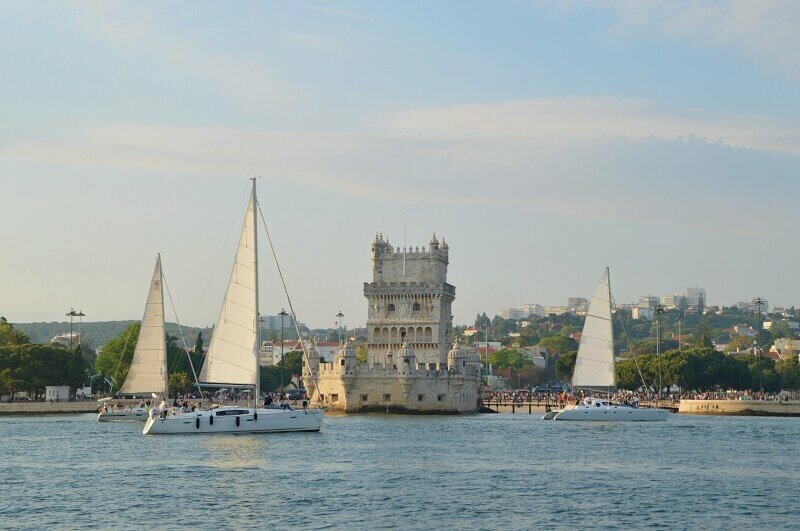 Lisbon By Boat, for example, have daily speedboat and sailing trips – get 5% discount when you book with my code: JULIE FOX. 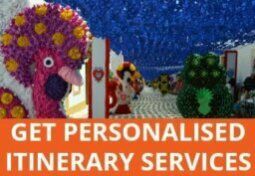 More details and online booking. Relatively few tourists go to São Vicente da Fora Museum, which is a bonus in my book. This hidden gem contains a fascinating collection of azulejo panels depicting the fables of Fontaine, regal tombs and some incredible inlaid marble. Best of all is the spectacular view from the roof. Read more about it in this post. You can see the domed roof of the National Pantheon from São Vicente da Fora and the views from here are also remarkable. 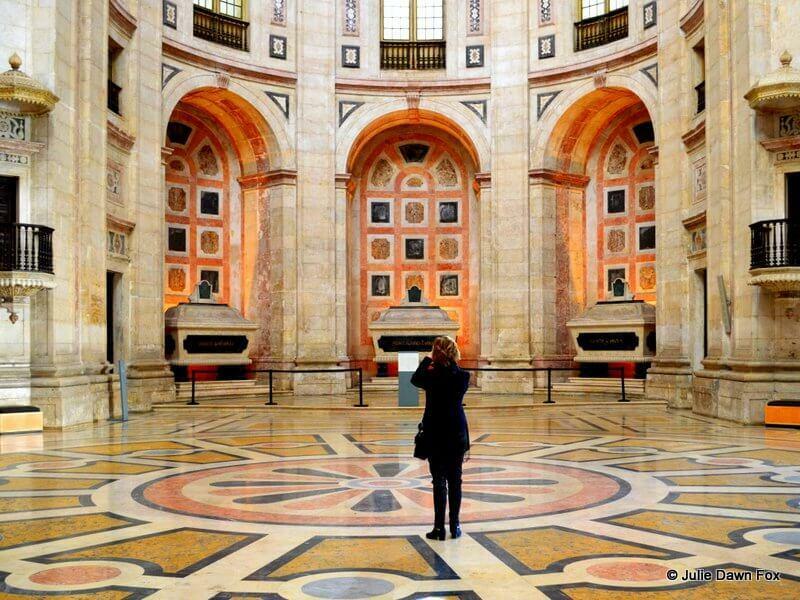 Inside, you’ll find a beautiful marble mausoleum containing the tombs of some of Portugal’s most beloved heros and heroines including the Queen of Fado, Amélia, and explorer Vasco da Gama. More information about the Panteo Nacional here. 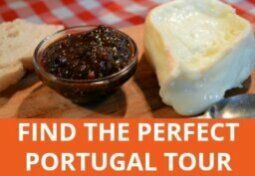 One of the best ways to understand why the Portuguese are so passionate about their cuisine is by taking a food tour with a local expert. I thoroughly enjoyed the day I spent with Célia Pedrosa on this Culinary Backstreets tour. I got to sample typical and refined food and drinks in local shops, traditional eateries and trendy venues. This viewing terrace is slightly off the beaten track and therefore not as busy as some of the others in Lisbon. It’s worth the effort and there are a couple of cute bars here too. 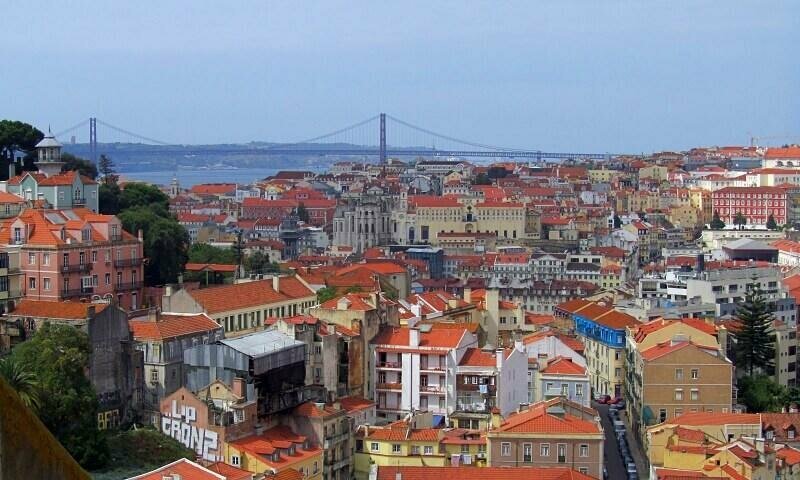 You can get there by tram or take an electric bike tour of Lisbon’s 7 hills. Even I managed to get up the hills with the added boost of the electric bike! One of Lisbon’s quirkier attractions is the delightful doll hospital and museum. Much loved dolls and toys are treated and restored with due care and there’s a fascinating collection that includes papier-maché dolls from the 1930s. Hospital de Bonecas, Praça da Figueira 7, Lisbon. 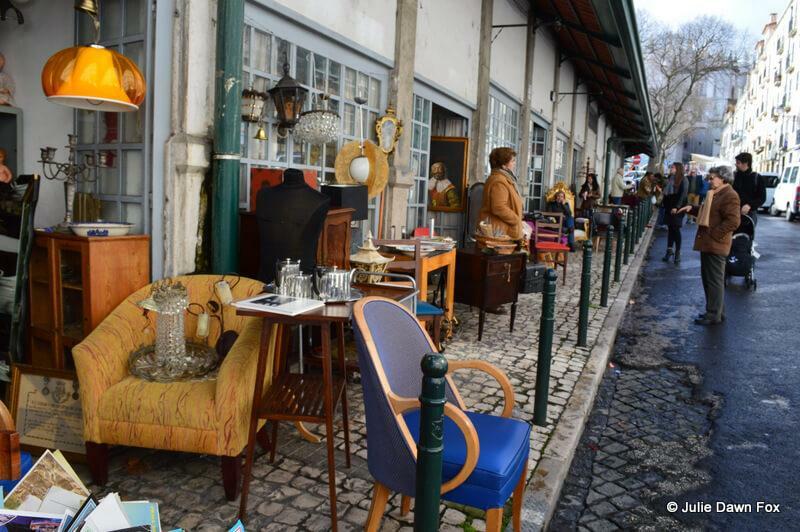 If you happen to be in the Graça district on Tuesday or Saturday, you’ll find the streets behind São Vicente da Fora church and the National Pantheon filled with makeshift stalls. You’ll find anything and everything on sale here including souvenirs and bizarre obsolete household items. Tip: Keep a close eye on your own belongings while you browse. It’s also popular with pickpockets. Lisbon’s 11th century Moorish Castle offers spectacular views of the city and the chance to roam the battlements and peer down canon barrels that have been through the wars. I have never managed to see the camera obscura but you can try to time your visit to see the city through this inverted lens. Otherwise, just enjoy the grounds and small museum in the company of peacocks. Tip: It’s better to go in the morning to avoid crowds. 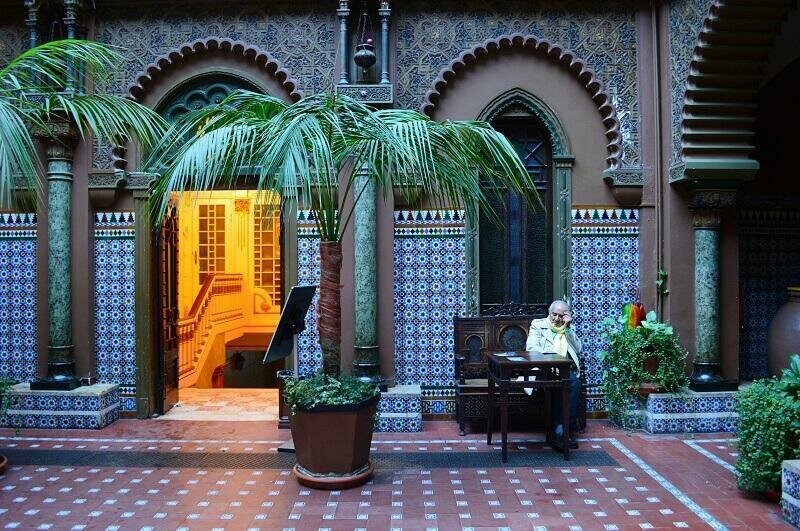 Open daily (except Christmas and New Year) from 9 am to 6 pm, or 9 pm from April to October. 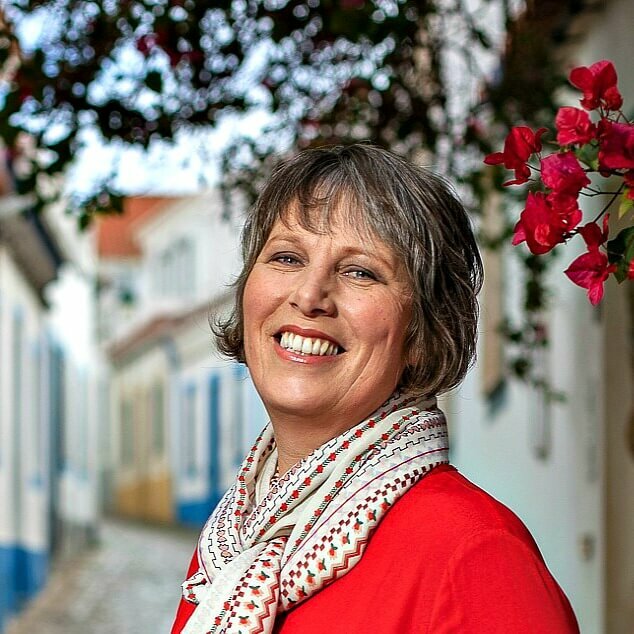 If you are looking for a guided tour of Alfama that includes the castle, check out Context Travel’s Lisbon Old Town Walking Tour. While the castle is interesting, it is empty of furnishings. If you want to see a royal palace in all its glory, head to the Neoclassical Ajuda National Palace. Construction began in the late 18th century and the palace was developed in fits and starts into the 19th century but was never actually completed. 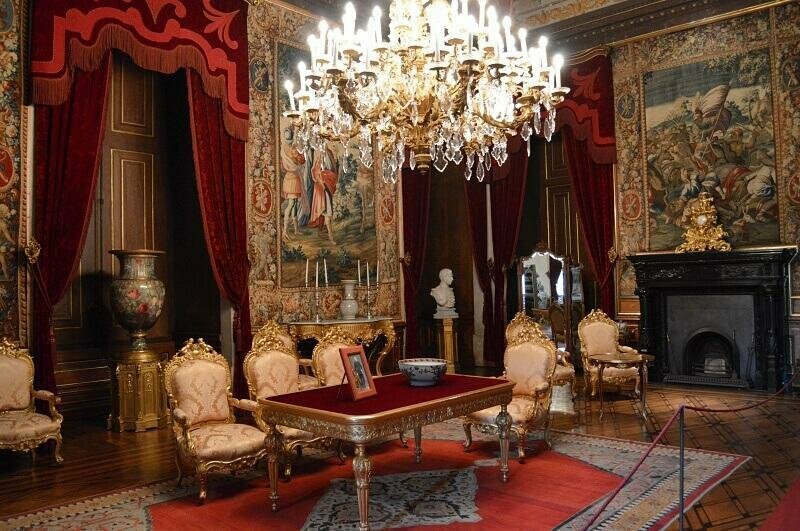 Nevertheless, the Portuguese royal family occupied this palace at various points in time and their personality is evident in the richly furnished rooms, decorated with family portraits. Open from 10 am to 6 pm. Closed Wednesdays and major public holidays. This beautiful palace involves a trek out of the city centre (it’s easiest to take a cab or Uber) and only offers guided tours in the mornings, making it tricky to work into an itinerary. It took my 10 years to get there but it was well worth it. While waiting for the guided tour of the interior of the palace, we had time to roam the gardens and discover a surprising variety of painted azulejos in different parts of the gardens. The palace itself is fascinating and beautiful (no photos allowed inside) and the guide did a great job of explaining its evolution and stories. The interior is only visitable in the morning, with a guided tour at the following times: June-September: Monday-Saturday 10:30, 11:00, 11:30 and 12:00 | October-May: Monday-Saturday 11:00 and 12:00. This 17th century palace is one of my favourite Lisbon buildings although you can easily walk straight past it if you’re not aware of it. The Neo-Islamic courtyard is an oasis of calm after running the gauntlet of the pushy waiters on Rua Portas de Santo Antão. Once a popular casino, for decades, the building (no. 58) has been used as a cultural centre for people from the Alentejo region of Portugal. On this first floor, you’ll also find a small museum collection of artifacts and documents and a typical Alentejano tavern. Upstairs, there’s a ballroom that’s seen better days but in the right light, still echoes grandeur as well as a range of rooms with wonderful decoration. If you want to make your eyes go funny, stand in Rossio square and gaze at the wavy black and white patterns in the cobblestones. At each end of the square, there’s an ornamental fountain and at the southern end, you’ll find a beautiful building with two horseshoe shaped doorways. This is Rossio train station, which is the one you’re likely to need if taking the train to Sintra for the day. The bronze statue outside the historical Art Deco Café A Brasileira is Fernando Pessoa, beloved Portuguese poet and former Brasileira patron(see his works, including the thought-provoking Book of Disquiet, on Amazon). 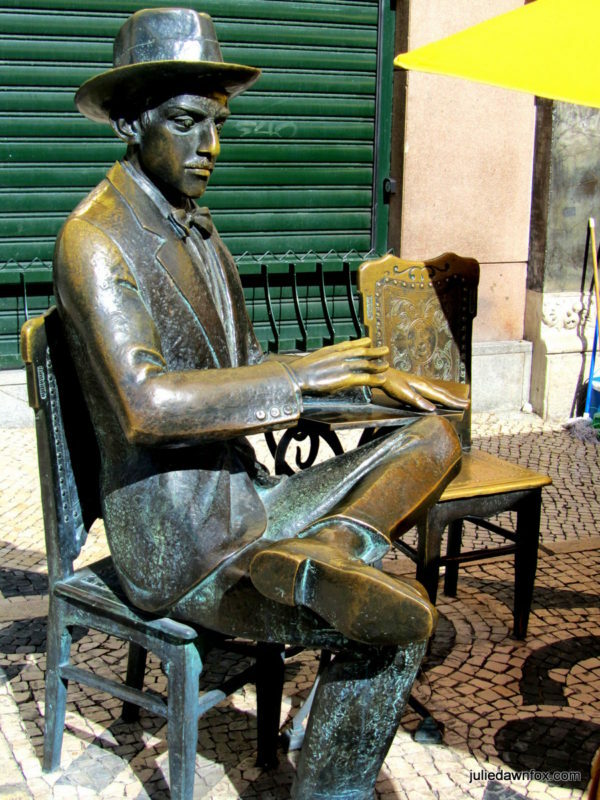 Sit next to Pessoa for a photo opportunity or linger over a coffee and watch the world go by in Largo do Chiado. You’ll often see street artists and musicians performing in this square. This is also the starting point for my audio guided walking tour of Chiado and Principe Real neighbourhoods. King Manuel I reigned back in the 16th century when wealth was pouring into Portugal from exotic lands during the Age of Discovery. To reflect the success of the times, he ordered various new constructions and embellishments to existing monuments in a very Portuguese version of the then current Gothic architectural style by adding nautical motifs. This became known as Manueline architecture. A great place to examine this beautifully frilly stonework is the iconic Jerónimos Monastery in the Belém district. You can visit on your own (buy a skip the line ticket) but if you want to get a deeper understanding of this important period in Portuguese history, consider a guided tour of Belém like this one by Context Travel. I’ve always loved the Neo-Islamic exterior of the palace that is now home to Embaixada shopping centre in Principe Real. It’s just as impressive inside, with a grand staircase lined with paintings of semi-clad ladies and a beautiful interior courtyard around which several boutique and concept stores offer quality clothing, accessories and souvenirs. Just down the road from Embaixada and next door to the Botanical Gardens is the National Science Museum (Rua da Escola Politécnica, 56). To be honest, I was somewhat underwhelmed at the dinosaur exhibits in the first few rooms but things started looking up as soon as we entered the lecture theatres and Chemistry laboratory that were part of the University of Lisbon in the early 20th century. As well as antique equipment and bottles of potions and chemicals, there are interactive physics displays on the upper floor and artistic exhibitions. 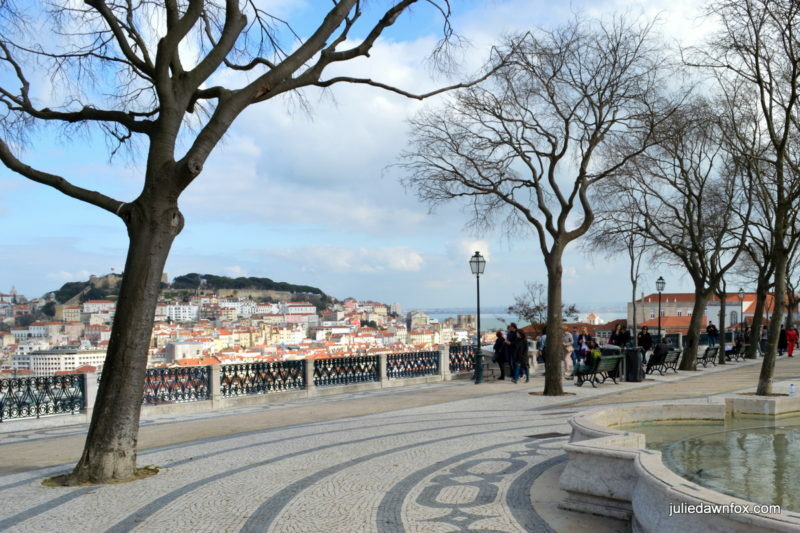 As with many of Lisbon’s miradouros (viewpoints), there is a kiosk here so you can grab a drink with which to enjoy Lisbon views across the Baixa district to the castle on the opposite hillside. Tip: It’s a gentle climb from Chiado but if you’re coming from Restauradores square at the base of Avenida da Liberdade, you’ll save time and avoid a very steep hill by taking the antique Glória elevator. Lisbon’s Archaeological Museum is contained within what remains of the Convento do Carmo. Like much of Lisbon, the original building was seriously damaged in the 1755 earthquake and its cloister roof was never replaced, lending it an eerie, skeletal air. As well as desiccated minors, there are other interesting finds on show. Tip: Save yourself the queue and fare for the Santa Justa Elevator by walking down the right hand side of the Carmo church to the upper platform for great views of Lisbon. Tip: Allow time for a drink at one of the cafés in the gorgeous Largo do Carmo square. Built in the 16th century as one of the first Jesuit churches, São Roque church survived the earthquake, enabling you to experience the outright ostentation of its Baroque and Mannerist decor. Even if cherubs and over the top gold leaf are not your thing, the trompe l’oiel ceiling, original tiles and intricate marble inlays are worth a look. 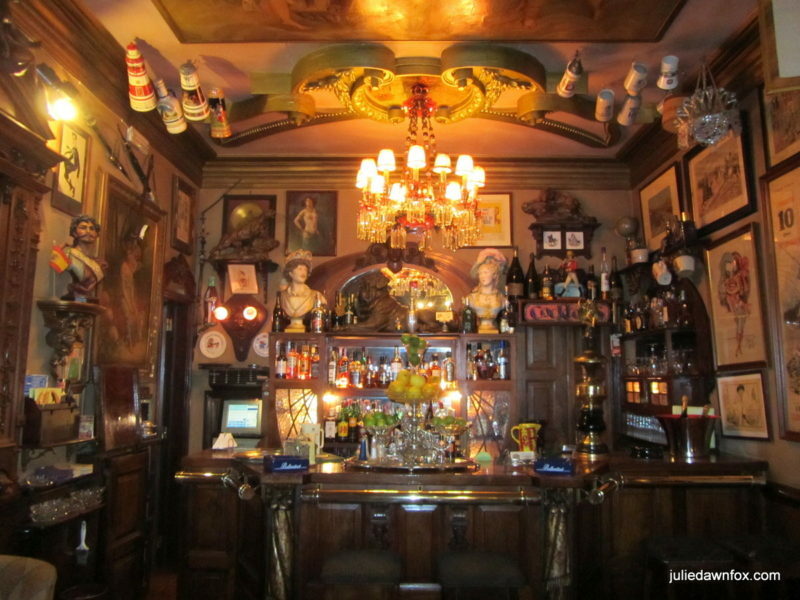 One of the best bars in Lisbon is also the quirkiest. Every surface is crammed with collections; over four thousand pieces in total. Choose from an extensive collection of cocktails and exotic teas while you take in your surroundings. The menu, full of risqué drawings of 1930s party scenes, is a collector’s item in its own right. Rua Dom Pedro V, 89. Open daily from 6 pm to 2 am (from 9 pm on Sundays). Tip: Go early evening while it’s fairly quiet so that you can study the collections without the crowds. One of the world’s most beautiful bookstores was once a printing factory and you can still see the machinery in the centre of this intriguing space. Most noticeable though are the suspended artworks including a much-photographed flying bicycle. Take your time to choose your tome – there’s a café at the back of the store. This is part of the funky LX Factory, a creative urban space with great street art and lots of restaurants and interesting shops. I went to the Museu da Marioneta to humour Mike and his fascination for puppets and loved it. The collection includes a variety of puppets from South East Asia and some wondrous African and Asian masks. 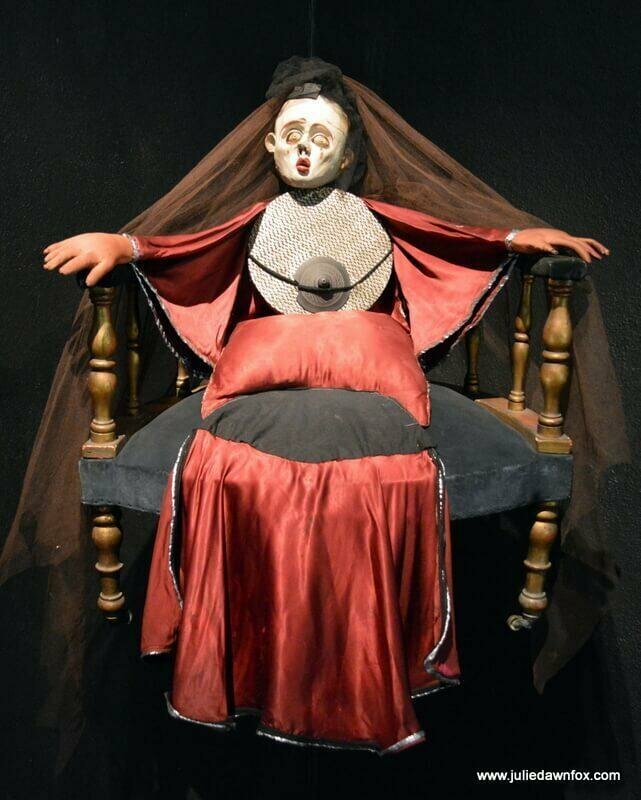 Learn about puppetry in Portugal from glove and strings to animated films and see the grotesque costumes used by the São Lourenço Theatre Company back in the 1970s. You can even step into the Punch and Judy booth and put on your own show. Lisboetas love their cherry brandy and so do I. Order ‘com’ (with) or ‘sem’ (without) a sour cherry in your shot glass and enjoy this tasty digestive from one of the long-standing establishments near Rossio square. 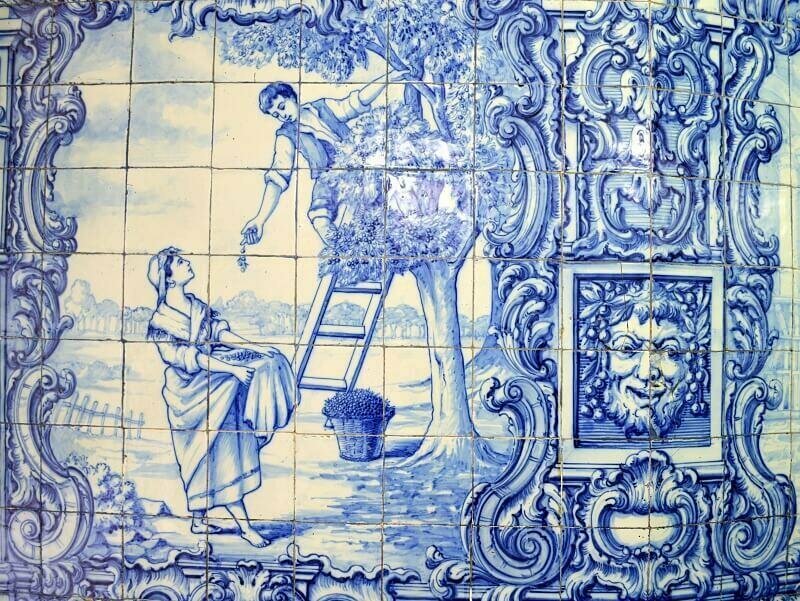 Ginjinha Rubi (Rua Barros Queirós, 27) has the added bonus of beautiful painted tiles of cherry picking and ginjinha drinking. Sightseeing in Lisbon can be quite tiring on a hot day. 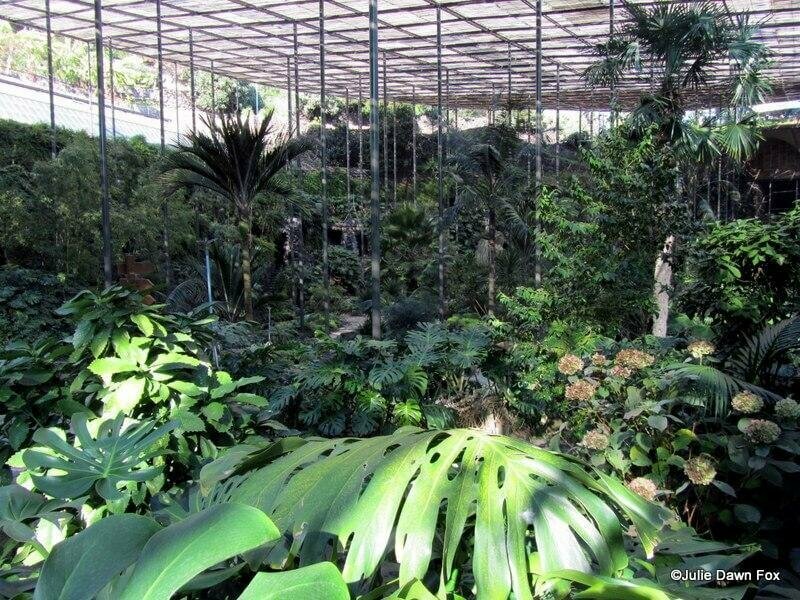 A great place to escape the heat and the crowds is the Estufa Fria greenhouse at the top of Eduardo VII Park. Within the various hothouses filled with exotic plants there are grottos, ponds, trails and sculptures to discover. Or simply find a bench beside the lake and watch the ducks and swans glide past. Open daily (except major holidays) from 10 am to 7 pm in summer and until 5 pm in winter (November to March). Tip: It’s a bit tricky to find the entrance from within the park so approach it from Alameda Cardeal Cerejeira – go to the Jardim Amalia Rodrigues at the top of Parque Eduardo VII and enjoy the views then bear right and walk downhill to find the entrance. I love this 19th century park with its palm trees, beautifully ornate bandstand and small lake. Locals make good use of these gardens so you’ll see families and people of all ages taking a stroll, having a picnic, using the outdoor exercise facilities or playground or simply resting on the benches. There’s a café by the lake, too. Tip: Tram #28 stops outside and you can pay to climb to the roof of the basilica opposite for great views. 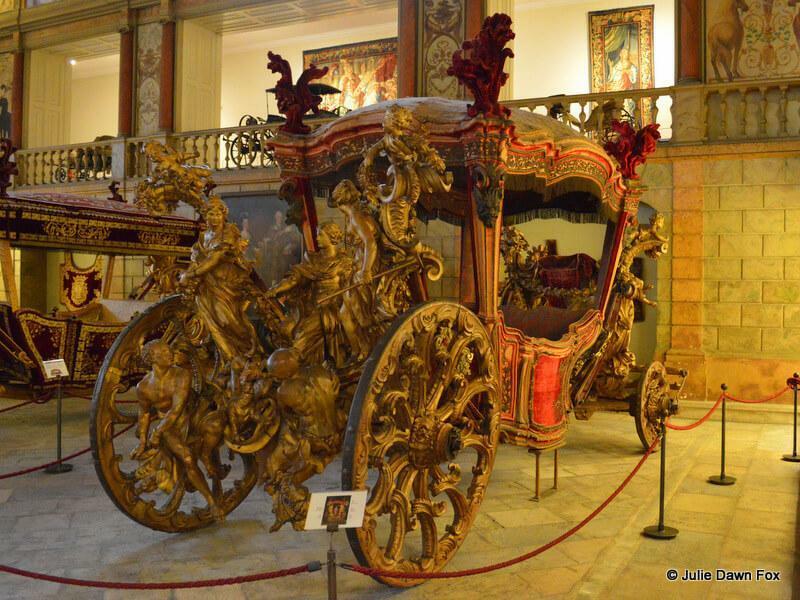 You’ll find pretty much any style of coach and carriage imaginable at Lisbon’s Museu Nacional dos Coches. Some are smart and functional, while others, such as the pope’s golden carriage are total ostentation. The collection is now split over two sites – the purpose built museum near the railway line and the beautifully decorated former royal stables. More details and photos of the coaches in this post. 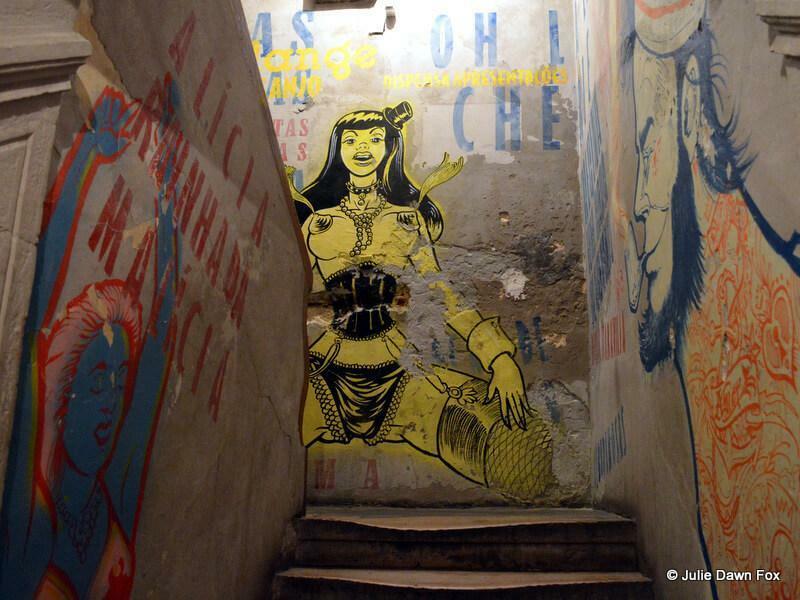 Tread the well-worn staircase of this former brothel to see the raunchy murals then pick a spot to enjoy a cocktail surrounded by reminders of this lively Lisbon bar’s past. You’ll find Pensão de Amor on Pink Street in the revamped Cais do Sodré district – once a red light district frequented by sailors and now one of the hottest nightlife hubs in the city. The sailor on the wall gives you a clue as to where many of Pensão de Amor’s former customers came from. The largest indoor aquarium in Europe is indeed impressive, with or without kids. The sharks, sun fish, adorable sea otters, flimsy sea dragon and colourful sea anemones are but a few of the attractions. The middle class residential neighbourhood of Campo de Ourique is less touristy than the more downtown areas in Lisbon. Thanks to that, the renovated local market and its delicious food stalls cater for refined local tastes and are happy to help foreign visitors understand the options available. The gourmet kiosks are scattered among the fresh produce stalls while the dining area is at the back of the market. Some kiosks have counter seating and there is often live music on weekend evenings. Open from 10 am to 11 pm (1 am on Friday and Saturday) and gets busy after 7 pm. Have I covered all of the places to go in Lisbon? Of course not. There are far too many to include in a single article so you might want to get a copy of a Lisbon guidebook or delve deeper into my Lisbon archives. Previous Post: What Is The Central Portuguese Camino De Santiago Like? Wow, now this is To Do List. We’ve been a Lisbon 4 times and it looks like we’ve missed a few exciting things to do. Time to get planning our next visit. Great list Julie. Never been to the São Vicente de Fora Monastery, but looks like a nice place to visit also for the views. There’s always so much we want to visit and not enough time to see it all when we go on holidays. I know that feeling, Sami. I never get to all the places I’d hoped to when I travel. And when you’re combining it with catching up with family and friends, it’s even harder to fit it all in. Pretty comprehensive, Julie! 🙂 🙂 You’ve been numerous times. It’s a lovely city! The last time I was there I tried to find Sao Vicente de Fora but got it completely wrong and ended up going up and down a lot! Never mind- another time. I ended up out at the Azulejo museum, which I loved. Next time, Jo 🙂 And I really must make time to go back to the Azulejo museum although there are always so many things I want to do I inevitably run out of time.